Nursing schedule of a newborn is critical for their health; they require frequent feedings, even during night. Should you wake your baby up to feed? It depends. When you are reluctant to wake your sleeping baby, it is fully understandable. They look so peaceful while sleeping. And when you consider the time they spend crying and awake, particularly in the middle of the night when you too are exhausted, it appears like you are doing a crime by waking them up. However, while the nursing schedule of a newborn may seem difficult, still, it is critical for their health and to stimulate your milk supply, even if it implies disturbing their and your dreams. Whether a sleeping infant should be woken up for feeding depends on the weight, overall health and age of the baby. Weight is lost during the initial few days post birth by majority of the newborns. Until your infant regains the lost weight-generally within a week post birth, it’s imperative to feed them frequently. This may require waking them for feeding occasionally, particularly if they sleep for greater than 4 hours at a stretch. However, once your baby starts gaining weight and accomplishes the milestone of their birth weight, you can wait to feed them till they wake up. Your baby will start crying late when they become hungry. The earlier you start feeding, the possibility of your baby becoming frantic is less likely. Early signs and symptoms of hunger in a baby are restlessness, stirring, lip movements and sucking motions. Should I wake my baby to feed? If you are breastfeeding, frequently feeding your baby will help in stimulating the supply of your breast milk. Moreover, babies who have long duration between feedings are more prone to feed repeatedly within a short duration of time (referred to as cluster feed). You should remember that there are specific nutritional requirements of premature babies. Moreover, they may not show signs or symptoms of hunger reliably till they become older. In case your baby is premature or you have concern regarding the weight gain or feeding pattern of your baby, consult their physician for specific recommendation. How to Wake Your Baby to Feed? Change the diaper of your baby. Remove one layer of clothing of your baby. Massage the feet of your baby. Wipe the face of your baby with warm cloth. Put the baby flat on your lap with their tummy up and their feet towards your tummy; while supporting their whole body, lift them in a sitting position, and lie them back down (repeat this several times). Compress the breast regularly. Compressing the breast when the baby pauses in between from breastfeeding may increase milk flow and keep them continue breastfeeding. Start by putting your fingers below the breast and the thumb on top of the breast. Squeeze the breast gently when the baby stops sucking the milk and swallowing. You should stop compressing of your breast the moment they resume breastfeeding. Repeat compression of your breast till the baby no longer feeds in response to breast compression. Switch from one breast to another breast. You should switch breasts and also change positions of breastfeeding. This helps in keeping a baby who is sleepy awake for a longer duration. Mothers are generally recommended to breastfeed their babies well on one side before offering the baby another side to make sure that the babies get enough calories required to grow. In case your baby’s weight gain is slow you may change positions of breastfeeding but avoid switching breasts. Hold the baby with their skin touching your skin while breastfeeding. This may help in stimulating their natural instincts to attach, root and suckle. In case you are not able to keep your newborn awake; express your breast milk with a pump or by hand. This helps in building your supply of milk and you can use this milk to feed your baby (apart from breastfeeding). The expressed milk can be given to the baby using a spoon, cup, breastfeeding supplementer or bottle. To discuss which of the above mentioned options may work for your baby and you, you may contact an IBCLC (International Board Certified Lactation Consultant). When to Let Your Baby to Sleep? Should I wake my baby to feed? You already know it. But when to let your baby to sleep? 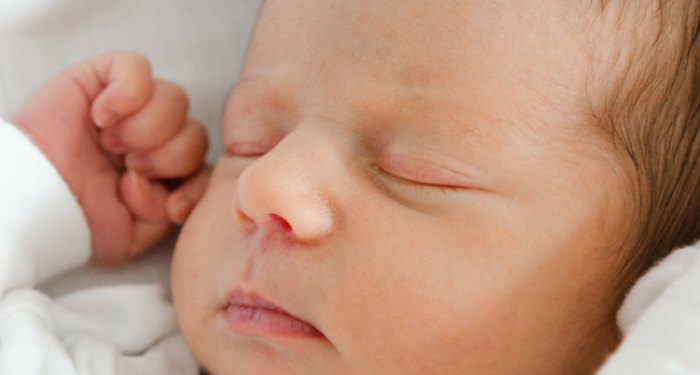 As your newborn develops and grows, there are changes in their sleeping pattern. More of their time is spent in deep sleep and less is spent in light sleep. When they become 2-3 months old, their circadian rhythms start emerging and they are also influenced by environmental factors including nighttime and daytime. After this age, many babies sleep for the longest duration at a stretch during the night time. Your baby’s duration of sleep at night will increase gradually as they get older, though at times they may wake at night frequently to breastfeed. The old saying that a baby who feeds a bottle before going to bed sleeps all through the night, is a myth. In fact, mothers who breastfeed their babies get more sleep during the night than mothers who feed formula to their babies. It is most important to be patient. Though, you have to begin by waking your newborn to breastfeed them, before long, they will start waking on their own to feed. If your baby is gaining weight and growing well, follow their lead and let them sleep for the duration they want, particularly at night.